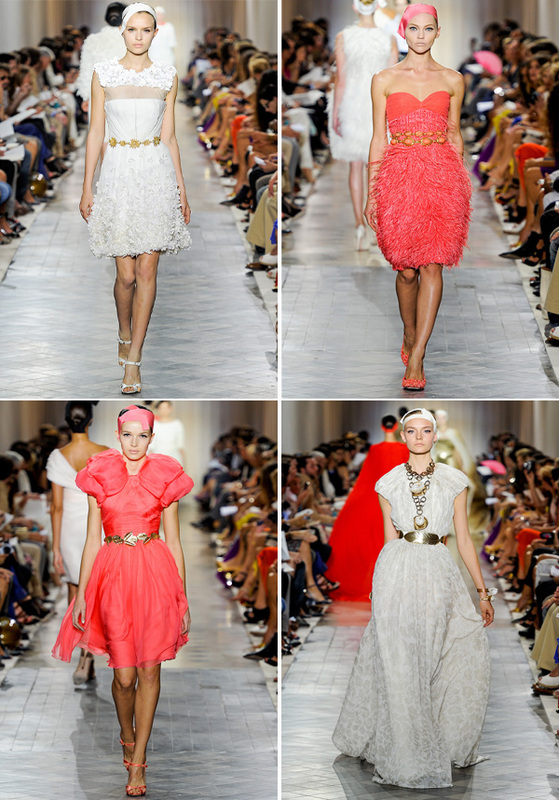 I love looking for inspiration outside of the wedding industry and the Giambattista Valli Fall 2011 Couture Collection did not disappoint. Putting on a simple yellow belt can add a pop of color or wearing a bold necklace can make a big statement and totally change the feel of a dress. Coral is turning out to be a popular color for spring and I think it works well for a bridesmaid dress. 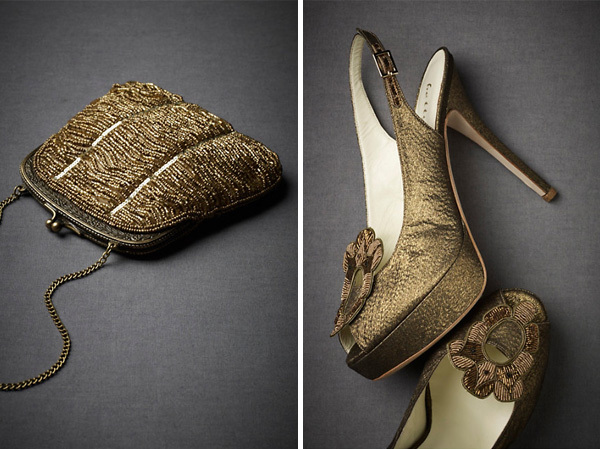 A fun purse, gold leaf belt and brushed gold peep toe shoes make the outfit complete! Tuesday’s Trendwatch – Red, Vibrant Red!